Syed A. Hasan, MD. 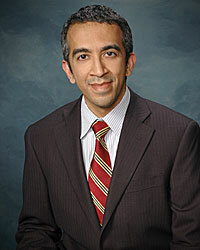 FACC, FSCAI is a board certified interventional cardiologist who has been with Valley Cardiology since 2007. Dr. Hasan is a Chicagoland native and grew up in the western suburbs. After attending the University of Illinois College of Medicine, he completed his internal medicine residency at Northwestern University in Chicago. He then did his general cardiology training at the University of Illinois at Chicago and his interventional cardiology training at the University of Rochester. Prior to joining our practice, Dr. Hasan was on faculty at the University of Rochester. Richard Park, MD. FACC is a board certified interventional cardiologist who has been practicing in the Fox Valley area since 1995. 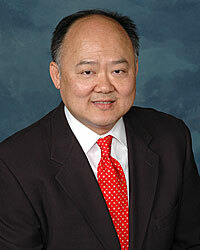 Dr. Park grew up in Elmhurst, Illinois and attended medical school at Loyola University. After completing his internal medicine residency also at Loyola, Dr. Park finished his general cardiology and interventional cardiology training at Sinai Samaritan Medical Center in Milwaukee, Wisconsin. Dr. Park's clinical interests focus on all aspects of general cardiology. In addition, as a board certified interventional cardiologist, he provides expert interventional care for coronary artery disease (including angioplasty and stenting), peripheral vascular disease, and valvular heart disease. At Valley Cardiology, our goal is for our patients to reach cardiovascular wellness by providing comprehensive, diagnostic, and interventional cardiac care. We use individualized plans to treat each patient in a respectful and caring manner.